As the popularity of online search continues to rise among people searching for dental care, Mitchell Dentistry responds with an intuitive, patient-interactive website. Cosmetic dentists Dr. James Mitchell, Dr. Yolanda Mitchell, and Dr. Joseph Mitchell of Mitchell Dentistry have announced the launch of a new, patient-focused website. The practice recently launched the new website created by dental website design leader, ProSites, Inc. The website contains many interactive features including educational videos and photo galleries that help patients make better informed decisions about their oral health. The website also utilizes extensive search engine optimization techniques to reach patients and local consumers who are searching for relevant information about Fort Myers cosmetic dentistry services. Mitchell Dentistry is also utilizing their website to educate the community on the importance of oral health. The website includes a links page with informative resources as well as a frequently asked questions page with topics ranging from oral hygiene to dental procedures. Dr. James Mitchell and Dr. Yolanda Mitchell have both been practicing dentistry for over 25 years. They met during their time at Emory University School of Dentistry in Atlanta, Georgia and were married. 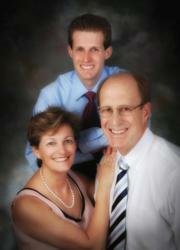 One of their three children followed in his parents’ footsteps; their son Joe grew up to pursue a career in dentistry. Dr. Joseph Mitchell joined his parent’s practice in 2008 and together this family of dentists provides cosmetic and restorative dentistry including dental implants in Ft. Myers, FL. For more information about Mitchell Dentistry please visit their website mitchelldentist.com.